You just “won” the highest bid on a hot Seattle home… now what? 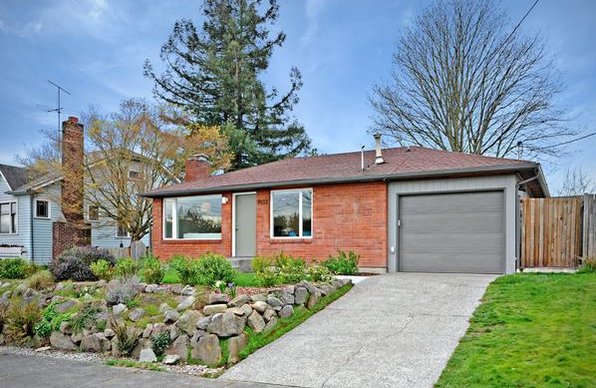 The Puget Sound Business Journal recently posted an article about a 1,100 square foot home in Ballard that sold $158,000 over list price. There is no denying that Seattle’s real estate market is hot largely due to lack of inventory and rising rents. (A’ hem…if you have been considering selling your Seattle area home, now could be the time). Is it necessary in Seattle to get preapproved to make an offer on a home? The short answer: YES! Unless you’re paying cash! And if you are paying cash, be prepared to show the listing agent and seller that you have proof of funds. Redfin’s “Bidding War Report” reveals Seattle is the 5th most competitive housing markets in the nation with 74.6% of offers “facing competition” (multiple offers) last month. With Seattle area home sellers having more than just one offer from potential home buyers to choose from, you must be preapproved by a reputable local lender. Listing agents will help the seller review the offers to determine which one is the best for their situation. According to the Bidding War Report, if you’re buying a home in Seattle, you may want to consider getting your home inspection done BEFORE making your offer (aka a “pre-inspection”). Last month, 14.3% of “winning offers” on Seattle homes had pre-inspections and 19% waived their inspection contingency. Pre-Inspect-to-Play: This 2-bedroom, 1-bath home in Seattle’s Phinney Ridge neighborhood had 300 showings, 19 pre-inspections (a competitive strategy common in Seattle in which the buyer has the home inspected before submitting an offer so that they can safely waive the inspection contingency), and more than 30 offers…. What did the “winning offers” have for financing in Seattle last month? 10.7% of “winning offers” waived their financing contingency. 17.9% of “winning offers” included a cover letter, or a “love letter” to the seller about why they want to buy their home. This is great news for home owners who have been contemplating selling their home. Last night, King 5 aired this story about a couple from Seattle who sold their home in a matter of days for more than they expected with several strong offers to choose from. Rising home prices will also help home owners who have been waiting for their home values to go up so they can refinance (if they don’t already qualify for HARP or a FHA/VA streamline refi). ATTENTION HOME BUYERS is the greater Seattle area: you’ve got to get your game on if you want to “win” in a multiple offer situation! Be sure to get preapproved from a local trusted lender. Your preapproval letter needs to be strong enough to give the seller and listing agent confidence that you are the most qualified buyer with the highest odds of having the transaction close quickly and without issues. Here’s a list of what you’ll need in order to be truly preapproved…if you’re working with a lender who has not requested these items, you’re probably just prequalifed and there is a HUGE difference. If you are considering buying or refinancing a home located in Seattle or anywhere in Washington state, where I’m licensed, I am happy to help you! I have been helping home buyers with their mortgage needs at Mortgage Master Service Corporation for 13 years. Click here for a rate quote or contact me to start the preapproval process. “In an echo of the last housing boom, ardent pitch letters from eager home buyers are popping up again in hot U.S. real-estate markets like Silicon Valley, Seattle, San Diego, suburban Chicago and Washington, D.C., housing economists and real-estate brokers say. I have written letters to underwriters before on behalf of my borrowers and have gone so far as to include a photo of my client which has helped with loan approvals. A letter from the buyer to “pitch” their story to the seller is something I haven’t heard of before. What is probably more important than “a pitch letter” to the seller is your preapproval letter from a respected mortgage professional. A preapproval letter will assure the seller that you are approved for a mortgage specific to your offer and that the transaction should successfully close. A well written preapproval letter addresses the borrowers down payment, credit, income and employment have been verified. In a multiple offer situation (sometimes referred to as a “bidding war”) it’s not unusual for the seller’s real estate agent to call the mortgage originator who has written the preapproval letter to do a “sniff test”. While a letter from a potential home buyer expressing how perfect the home is for their family may give a buyer an edge over other offers, please don’t forget your mortgage preapproval letter. If you are considering buying a home in Seattle or anywhere in Washington state, where I am licensed, please contact me. I would love to help you with your mortgage! I’m noticing more “bidding wars” on new listings in the greater Seattle-Bellevue area. Because of the lack of non-distressed inventory and current low interest rates, multiple offers may occur driving the sales price higher than the original offered price. Sellers and listing agents may try to create an environment for a bidding war by slightly delaying the review of offers and by pricing the home either at or slighltly under what may considered “market value”. Here are a few tips to remember should you find yourself in a possible “bidding war”. Be prepared to provide a strong offer. Get preapproved early. This will help you know how much you qualify for and the seller will most likely require a strong preapproval letter that illustrates you are strongly qualified and that your loan will successfully close. Determine your financial boundaries. What is the most you want to pay for the home and for your monthly mortgage payment? Bidding wars can be charged with emotion – keep your financial goals in mind. I often will provide several preapproval letters at staggered amounts for clients when they’re getting ready to make an offer. The letters might start at their preferred offer price and go up to the limit of their financial comfort zone is (of course they have to for that amount). Work with a reputable lender. It is not unusual for listing agents to contact the mortgage originator to confirm the preapproval letter and to do a “sniff test” of your mortgage originator. If the listing agent is comparing two offers that are essentially the same, the mortgage originator may be a deciding factor. Consider a shorter time period for closing. Depending on the seller’s situation, for example if the home is vacant, a shorter closing might help you win the bid. Contact your mortgage originator to see what time frame they can realistically close a transaction before writing an offer for a quick close. Don’t forget the appraisal. Regardless of what you and five other bidders are willing to pay for a home, it still needs to appraise based on what other homes like have recently sold and closed for. The seller does not have to accept a lower appraised value. Your lender will rely on the lower of the appraised value or sales price for your mortgage scenario. Making a non-contingent offer. Sometimes a real estate agent may suggest that you need to make an offer “non-contingent”. Consider how much earnest money you’re willing to lose if something happens where you elect not to proceed with your transaction (for example, if your appraisal comes in lower than the sales price and you’ve waived your financing contingency). NOTE: making an offer non-contingent on financing may be less risky depending on your personal scenario. Be prepared to do your home inspection prior to making an offer. It’s not unusal for greater Seattle area homes that are preparing a bidding war to request inspections be done prior to your offer. This will also help you make your offer “less contingent” it’s not subject to an inspection. Being as prepared as possible may help give you an advantage over other offers. The sellers and listing agent wants to be assured that what ever transaction they select in a multiple offer situation has the best odds of successfully closing. I am happy to assist you with your preapproval and financing of your next home located anywhere in Washington state. I have been originating mortgages, including conventional, FHA and VA at family owned and operated Mortgage Master Service Corporation since April 2000. We are a well respected correspondent lender established in 1976 by the Porter family.